I finally finished my Endless Love marathon in a month. I can’t say that it was a waste of time to watch these 4 dramas. I’m interested on how the Korean drama wave started anyways. Endless Love may have those typical plot and storyline but it remains a classic. 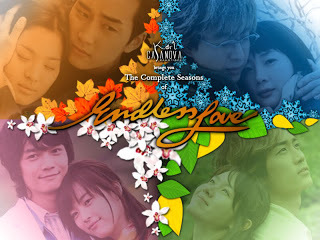 The message that I got from this series is: “First love never dies.” I guess it applies to all the seasons. No matter how long time has set them apart or how far they are from each other, fate always brings them together. There’s always love triangles or love squares in every season. It’s always two boys and two girls; very typical. It’s always the case that the lead girl is getting engaged or is in a relationship with another guy. Yet knowing this, the lead guy doesn’t care and goes on with liking the girl even if he’ll hurt other people. The lead guy appears to be the bad guy in the drama, but eventually everyone accepts it because the girl chose him. Childhood stories is quite the trend in this seasonal series as there’s always flashback to the past when they were still young. So many similarities among the series, but each delivered in a creative manner. I simply loved Spring Waltz’s child actors. The little girl was adorable and cute. 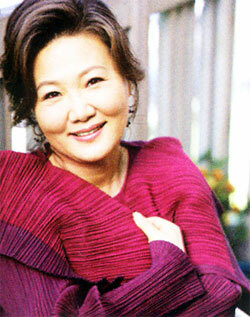 She was pretty to begin with, and for her age she can act very well isn’t an easy thing to do. I also liked the little boy who was playful and mean, but in the end he realized that he liked her. I enjoyed the flashback of Spring Waltz so much that I wished it was extended for a few more episodes. The childhood story helped a lot. I liked how the story started in Austria and then back to Korea. The pacing of the story was fine. The characters and story were more polished this time; improved. The exchange of lines between the characters were meaningful and natural. The way how the story progressed was also nice. It was a well-written script. It was the season where I felt it was least draggy. I didn’t know why I chose this, but the songs were memorable for me. Maybe because it was more cheerful and the mood is happier which is why I remembered it the most. The other three were more mellow and sad, and I could only remember 1-2 songs from each of the dramas. 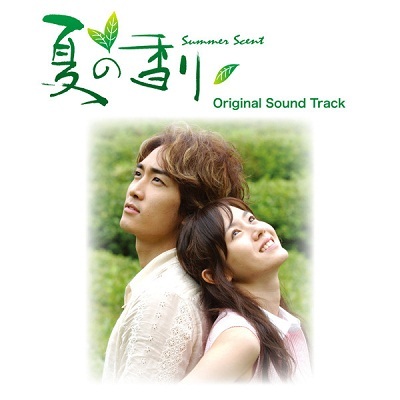 However for Summer Scent, I can still recall most of the songs considering that it was the first seasonal drama that I watched. 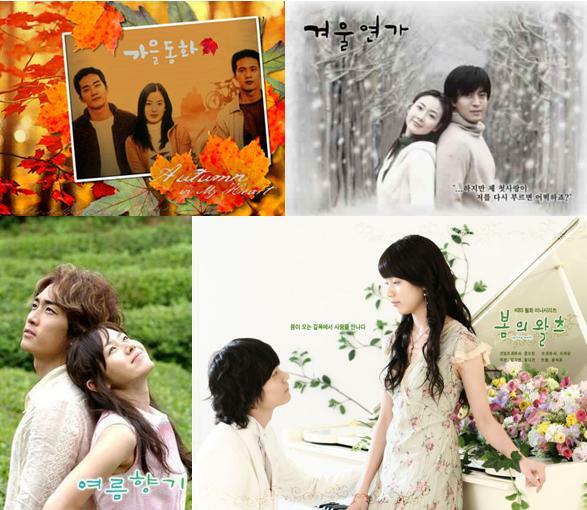 Nonetheless, Korean dramas always make superb soundtracks and they’re worth checking it out. The choice of the actors for the drama was perfect. Each role was suitable for his character. They were able to carry out the emotions and the personality in a natural way. Crying scenes were also natural. I liked the love triangle best in this season — visually; and they’re actors with great talents. She literally appeared in every season as the mother of one of the lead characters. She could pull off her character well, each with different personalities. Not giving her the Best Actress title would be regretful. She’s indeed a veteran actress whom you can see not only in this Endless Love series, but in other popular dramas as well. 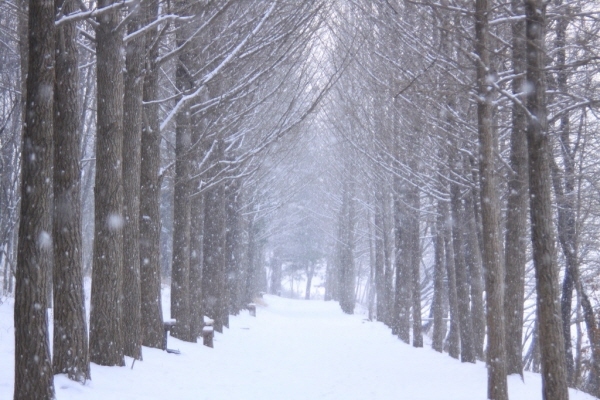 Honestly all the seasons have its own beauty, but what stands out the most is Winter Sonata’s Nami Island. It became a local attraction in Korea after this drama was aired. No doubt, the tall trees, snowman building, and just simply the snow makes everything become so romantic. Other seasons lacked that trademark that Winter Sonata had. The chemistry between Bae Yong Jun and Choi Ji Woo is simply natural. They look so good together. Song Seung Heon and Song Hye Kyo comes second place. They’re not that bad either, but after watching My Princess, I loved the chemistry between Seung Heon and Kim Tae Hee more. Summer and Spring were simply a mess. Sad ending, but that’s what set it apart from the other seasons. I felt that it was more realistic and it just simply shows Joon Seo’s love for Eun Seo. Best endings doesn’t necessarily always have to be a happy ending. First season is always the best. I liked it because it was balanced. I mean they may not have the best setting, soundtrack, acting, etc. but they were not the worst. In most of the categories, autumn comes in second. The choice of the actors was a smart choice, and they could definitely act. The plot was acceptable and the script really helped a lot. It was also the season where I felt least draggy; maybe 16 episodes helped? Overall, this season was the most touching. It really touched my heart. These are my personal opinions. I’m sure you have your own personal bests and favorites too. This seasonal series will make you fall in love and adore the sceneries. They were able to capture the essential must-haves for every season. Orange-colored trees, snow, rain and flowers, and the greeneries. Love? Love may not exist in your vocabulary, or maybe you’re afraid to love.. but after watching this, you’ll learn to love (again). Very touching and inspiring love stories. It’s indeed a classic. K-drama fanatics probably have watched this, but Korean drama newbies shouldn’t miss this. Though scriptwriting and acting may have improved through the years, it wouldn’t hurt to look back on the past Korean dramas and how K-wave eventually boomed through these dramas. * Note: watch this seasonal series in the order when it was aired: Autumn, Winter, Summer, Spring.